The Ordinary Life of an Extraordinary Girl: Our thanks for 2012! As far as her future after high school, “when she grows up” Alex was never asked if she wanted to live in a group home and work in a segregated job. 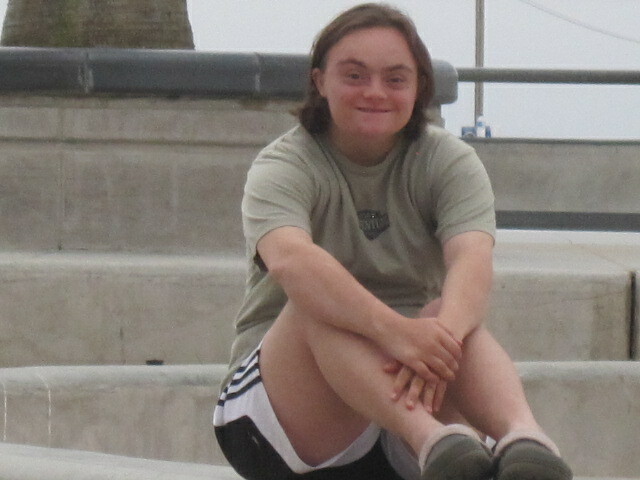 She was never asked if going to a day program with people with disabilities is what she wanted for her future. This was all decided by the system before she could even speak. Alex does not want this “when she grows up” and is not on a long wait list for adult services. Bravo Gary!!!! (p.s. read your book and I LOVE it, I will get some time and write a "review" over the next week). p.p.s Alex ... I love this photo of you! Great post - hooray! Have a great holiday! Has your son decided yet? Hi Lisa - Tom applied to UVM. Northeastern and CU - Boulder. I am not sure if he applied to UVM to keep me happy or because he would consider it - if he does not get into Boulder. Thanks for checking - hope all is well! You are such a wonderful asset to those of us just beginning this journey. Maybe if we ask the tough questions, stand firm, and band together we can make some changes. Thank you. Hi, thanks for the comment. The Internet is providing so many opportunities for new families to share information and learn there are lots of options and choices available. I am so excited to see what this generation of children with Down syndrome will accomplish in their lifetimes.